Happy Friday! This week has flown by, and I'm excited to kick my weekend off a little early today. I'm excited to not have any plans, and will be spending some time at the dog park and trying a new recipe or two. How wild! 1. 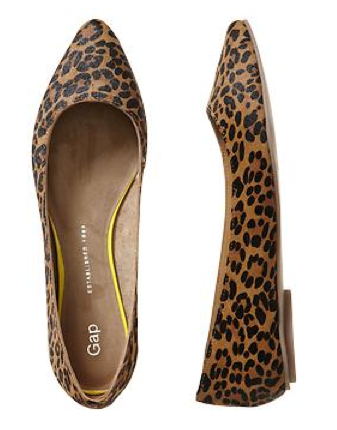 If you need some leopard flats, I highly recommend these. They're probably not worth $49, but I think they'll sell out fast and are super cute and comfortable. My current Gap flats are going strong despite 18 months of constant wear, so I think I'll get my money's worth. 2. I hereby refuse to participate in the resurgence this trend, no matter how popular it becomes. I had a pair in 1998 and it was not a good look. 3. As a little treat for myself with some of the money I earned from a wardrobe consulting gig, I got this Asos dress that I mentioned in my earlier post about black flared dresses. Of course it's more on sale now, but I really like mine and thought I'd pass it along. The material is nice and soft, and it's a nice way to look dressed up but feel like you're wearing pajamas. I'm going to wear it with the flats above and a bright belt. 4. Being 29 is freaking me out more than I thought. It's as though I woke up one day and realized that some of the things I always meant to do are now much more unlikely now that I'm a married homeowner. One of the things I always planned on doing was living abroad. 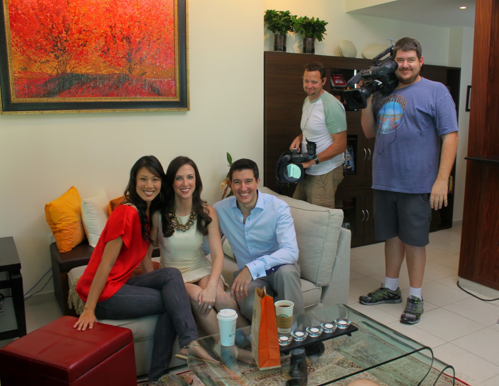 I'm not saying it's never going to happen, but this week I was excited to discover a new HGTV show called Living Abroad (imaginative title!) that involves visting expats around the world and touring their houses. It's a nosy traveler's dream. Check it out next time it's on! 5. I find this to be true in life, don't you?